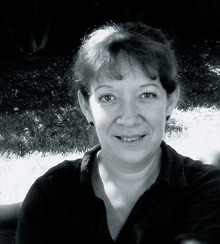 Born in France (1956), Corinne Soum is the co-director of the Theatre de l'Ange Fou and the newly created White Church THEATRE Project in Wisconsin, USA. She was the co-founder and director of the International School of Corporeal Mime in London (1995-2014). She studied corporeal mime with Etienne Decroux, and became his assistant, sharing in his research, teaching and creations. Decroux created three pieces on Corinne: La Femme Oiseau, Le Fauteuil de l'Absent and Le Duo dans le Parc St. Cloud, and re-worked numerous classic pieces for her from his repertoire. She studied classical dance with Yves Casati of the Opera Comique, modern dance with Jeanne Jolly, graduated from the Ecole Irene Popard in gymnastics and contemporary dance, and studied voice with Georges Roiron. Corinne taught corporeal mime at the National Theatre School in Amsterdam. Corinne has a long collaboration with Steven Wasson in directing, creating and playing many leading roles for their company. She was the professor of Corporeal Mime at the Ecole de Mimodrame Marcel Marceau for seven years. Corinne has travelled throughout Europe, North and South America, Asia and the Middle East to teach mime and physical theatre, and as an invited performer, director, lecturer and writer on Etienne Decroux and corporeal mime. 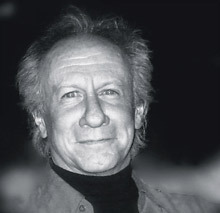 Born in the United States (1950), Steven Wasson is the director of the Theatre de l'Ange Fou and of the newly created White Church THEATRE Project in Wisconsin, USA. He was the co-founder and director of the International School of Corporeal Mime in London (1995-2014). He studied literature and drama at the University of Northern Colorado with Dr. Lloyd Norton, and mime with Dr. E Reid Gilbert at the Valley Studio near Madison, Wisconsin, and with Thomas Leabhart as a member of The Corporeal Mime Theatre. Coming to Paris, he was a student of Etienne Decroux and later became his assistant, participating in Etienne Decroux's teaching, research and creations. Decroux created two pieces on Steven: Le Prophete and Le Duo dans le Parc St. Cloud, and re-worked a number of his classic repertoire pieces for him. Steven studied voice in Paris with Georges Roiron. Steven has created and directed all of the plays for the Theatre de l’Ange Fou, and has performed in many of them. He has worked as an actor in film, TV and live radio in the U.S. and France notably with award winning documentary director Dominique Benechetti and Oscar winning filmaker Serge Bourguignon. Steven taught corporeal mime at the National Theatre School of Amsterdam in 1981. In 1989, his play "Le Petit Dictateur" was awarded the 'Label of the Revolution' in France. In 1996, Steven reconstructed and directed the mime scenes for Simon Callow's Royal Shakespeare Company production of Les Enfants du Paradis. Steven has acted, written and directed for the Avatar Meher Baba Theatre in India, and has led workshops in mime and physical theatre throughout Europe, North and South America, Asia and the Middle East for thirty years. He is the in house film director for the Theatre de l'Ange Fou creating artistic and pedagogical films for the company and the school.